No one does thrillers quite like James Rollins does thrillers. His books are the benchmark all other authors in the genre strive to achieve. In Bloodline, the 8th book in the Sigma Force series, the best-selling author again shows why he is looked up to by his peers as the master. Bloodline picks up shortly after the events of 2011’s The Devil Colony. Somali pirates hijack a yacht, kidnapping a pregnant young American woman and killing her husband. When Sigma Commander Gray Pierce is called in to lead a team to rescue the woman, he wonders why his team is being called in to deal with a simple hijacking. However, this is no simple hijacking. The hijackers want a lot more than a simple ransom and the victim is no average American. To rescue the woman, Gray and his team will have to once again face the constant thorn in their side — the Guild. Gray and the rest of Sigma Force again criss-cross the globe in their quest to stop the Guild’s plans to change the course of America’s future. I enjoyed the two new characters, Tucker and his K-9 compatriot Kane. The scenes that were written from Kane’s perspective show Rollins at his creative best. The rich sensory descriptions really let you get inside the dog’s head. You can tell that Rollins is a former veterinarian. Rollins also gave two female characters who usually remain in the background a more central role in Bloodline. He has shown his ability to write strong women in the past, but this time, Lisa and Kat really get to shine. Longtime fans of the Sigma Force series will appreciate the revelations regarding Sigma’s history, its membership and its true purpose. The surprises keep coming throughout the whole book. Just when you think Sigma Force has figured out what is really going on, Rollins throws another twist at the reader. No one combines cutting-edge science with non-stop action and suspense quite like Rollins. I love reading the notes Rollins shares explaining where he finds the ideas that he uses in his books. Many of them that seem like they must be fictional are actually based on actual science. This time around, the story centers around genetics, robotics and the quest for immortality. Sometimes, I think it’s OK to read a book that is part of a series without reading the previous books in the series. In the case of Bloodline, I would not recommend reading it without reading the other books, or at least The Devil Colony. 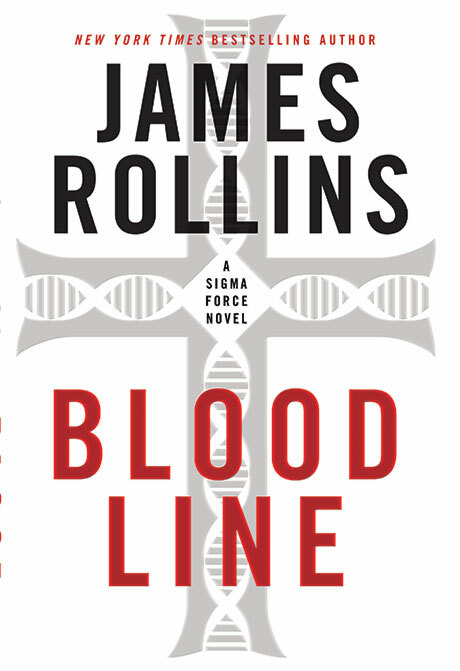 You could enjoy Bloodline without any knowledge of previous Rollins books, but you certainly would feel lost. The story almost feels like it could be the end of the Guild storyline that has run through the Sigma Force books. But I prefer to think that Rollins has even more secrets up his sleeve that will let the mysterious cabal rise again to wreak even more havoc. On a scale of 1 to 5, I give Bloodline a 4.5. Disclaimer: I received a free copy of this book from the publisher in return for a fair review.